Home » Island News » Who is Pink Tage? Why is RIOC Sponsoring them, it, her or him? Who is Pink Tage? Why is RIOC Sponsoring them, it, her or him? RIOC's advising everyone to "Save the Date" for a commercial market without any clear Roosevelt Island connection. Even for a State agency that sometimes appears rudderless, it was exceptional. 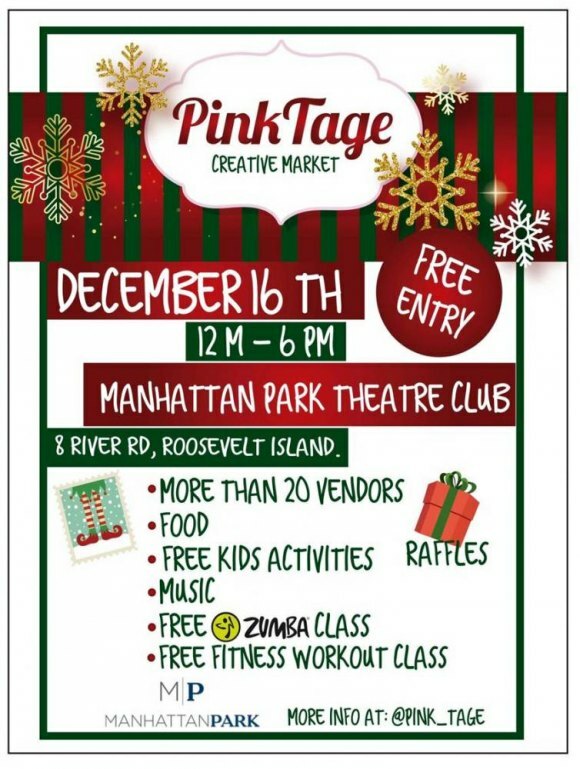 A Community alert ordered us all to "Save the Date" for a "Pink Tage Creative Market Dec. 16 at Manhattan Park." Who the hell is Pink Tage? At first glance, the attached poster seemed to suggest the Manhattan Park decided to go retail at Christmas, but a quick check with Property Manager Brian Weisberg proved that was not the case. "It's not us," he said. 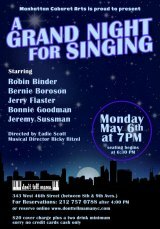 It was apparently someone who rented the Manhattan Theatre Club for a one-day market with "more than 20" unidentified vendors. "More info at: @Pink_Tage" the poster promised. So, I went over to Twitter and searched that tag. The info I got was that @Pink_Tage is a private identity for which no access is available unless you ask to be allowed in as a follower. I passed on that opportunity. Next, I followed a hunch over to Facebook and found Pink Tage, a Venezuelan fan page. A copy of the RIOC poster was in the feed, but you had to translate to get a message from November 24th. "I'm very happy to finally announce the flayer of the creative market I'm organizing!" It also promises to, "little by little," announce vendors for the market, a promise that's gone unfulfilled. The only thing linking Pink Tage to Roosevelt Island is a 10044 zip code without any address. They could be anywhere, including Venezuela. An associated link goes to an Etsy Shop: Pinktage by Lib. The shop's been live since 2016 but has recorded only seven sales totaling a few hundred dollars. RIOC's poster promises "more than 20 vendors" and a bunch of family friendly activities, but it's all pretty anonymous and lacking in descriptions. In case you were wondering, of course, we went to the source. We asked RIOC, "Who does this benefit? Who’s the sponsor?" "This is a Manhattan Park event," Public Information Officer Alonza Robertson incorrectly explained. "We were only doing a courtesy by sending out a community alert." In reality, RIOC is promoting a commercial vendor, apparently without doing any research on its credibility. We are not aware of any previous incident in which RIOC sponsored a commercial venture. Roosevelt Island's rich with creative artists, but none have so far gotten similar support from RIOC in promoting sales.